Dubbed the “personal thermal imager”, Flir One is an attachment for your phone camera that can turn it into an infrared one. The attachment consists of one camera that sees infrared light, one that sees visible light and an app that brings the two together giving you a real-time thermal image of your surroundings. The company has been involved in developing infrared technology for years, providing equipment for first responders and the military. With Flir One, the company is stepping into the mass consumer market and offers mobile users to experience the practical benefits of infrared imagery first-hand. So what could be the practical applications of the attachment for the average Joe? According to Flir, there are plenty of ways to enhance our life with thermal imagery: all the way from the office to the great outdoors. At work and at home, thermal imagery can help you detect leaks, find electrical shots, locate insects and rodents behind the walls and more. 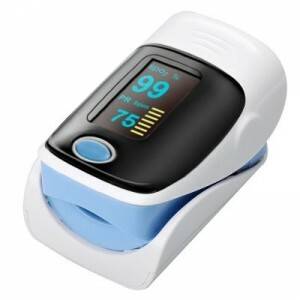 At home you can also use it to evaluate energy efficiency of your house or apartment, identify potential mold areas and stop overloaded electrical connections before trouble happens. Flir One will let you see in the dark, giving your confidence roaming about the house with the lights off and checking what your pet are up to at night. If you enjoy spending time outdoors, Flir Once can come in especially handy. In addition to simply seeing in the dark, you will be able to check your campsite for bugs and small animals, observe the wildlife around you, make sure your campfire is completely extinguished before leaving the campsite and more. On the fun side, Flir One can make hide-and-seek much more exciting and let you leave secret messages for others that are only visible through an infrared camera. With all that said, the heavy price tag of $249 will probably make most users wonder whether the attachment is something that can use often enough to justify the cost. 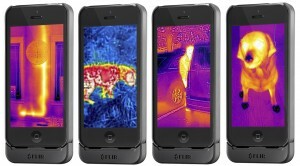 Flir One is now available on IOS platform and will appear on Android in July. One of the most controversial Whatsapp features is the app’s ability to track your activity and knowing when you receive messages, read them, are online or offline and more. You’re in luck: one of these features can be disabled. To get rid of the timestamp, showing the last time you were online, on IOS you just have to go to Settings > Chat Settings > Advanced and set Last Seen Timestamp to Off. With Android, it gets a bit more difficult and you will need a third-party app to achieve the same result. Hide Whatsapp Status will disable your data connection when you open Whatsapp, hiding your activity from prying eyes. If you want to go the opposite way and know even more heartbreaking truth about how your friends handle your messages, you can torture yourself by learning exactly when a particular message was read. Go to any chat and tap and hold the message you want to learn more about. You will see the “Information” symbol in the top right corner. Tap on it and you will get access to the exact time data for your message. If you feel that there is a valuable stream of wisdom flowing through your Whatsapp chats, make sure to back them up. On IOS, head to Settings > Chat Settings > Chat Backup>Back Up Now. On Android, go to into Settings > Chat settings>Backup conversations. We all have those special few on Whatsapp who we talk to most often. You can create separate shortcuts on the Desktop for people you talk to the most. Depending on your Android version and phone, you can either long-press the contact and select Add conversation shortcut from the pop-up menu. Or, you can open the contact, tap on the three dots in the top right corner and tap Place on Home screen. For IOS you will need a third party app, like 1TapWA. Yes, Whatsapp is primarily a messenger and not a social media app. Thus, we are not expected to share our feelings and post updates on what we’ve been up to. However, if that is something you’ve been wanting to do, you can. Just head over to Whatsapp menu, tap on Status and fill in the blank line. The background picture may not be the most important thing in your Whatsapp chats, but it could be made a tad more interesting. Head over to Whatsapp Menu>Settings>Chat Settings>Wallpaper. You will then be able to choose from the pictures in your gallery or download Whatsapp Wallpaper package. There may be several instances when you’ll want to send a message to several people in your contact list and there’s a way to do it. Say, you want to send an announcement or an invite about an upcoming event, just go to Menu>New Broadcast. You will be asked to add the contacts you want the message to go out to, do that and then tap Create in the top right corner. This is more of a personal preference thing, but if you do prefer it this way, you can fire off message sin Whatsapp by hitting Enter instead of tapping the app’s Send button. To do this, head over to Menu>Settings>Chat Settings and toggle on Enter is send. Already a popular app on IOS, Periscope has hit Android OS this week and is already the talk of the town. The app lets you stay up-to-date with video broadcasts from mobile devices, as well as make your own. Periscope, originally developed by Kayvon Beykpour and Joe Bernstein was purchased by Twitter in March 2015. This explains that during the sign-up process, you will be offered to follow the same accounts you do on Twitter. Periscope promises to let you “discover the world through someone else’s eyes” and claims to be “the closest thing to teleportation”. As ambitious as this may sound, the creators are not wrong. You will have the chance of watching what’s happening in different parts of the globe just by going through the updates on your phone. Unlike news, though, most of videos tend to be positive and reassuring: you could see a sunset in Brazil or a diving video from Thailand. As we have mentioned earlier, the app made its first appearance on IOS and gathered 1 million users in the first ten days since its launch. Android received Periscope on May 26th and there are a few minor differences in the way the application operates. When it comes to following others, it’s all simple. 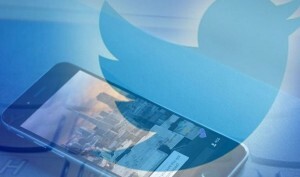 You will get updates from those on your Twitter contact list. If nothing cool is happening among your contacts, you will be offered a selection of popular accounts to follow. The popularity is determined by how many “likes” the broadcasts get, and in order to like one you just need to tap the screen. The app definitely sounds interesting and falls well in line with Twitter’s general concept: staying connected with what the world is doing and thinking. Let us know what you think of Periscope.